Rainbow Movers is a professional moving company serving Attleboro and surrounding communities. We’ve got 100 years of experience in the moving business, so you can rest assured you’re in good hands. When you hire us for a residential move or an office relocation, you get a moving company with the experience, resources, and attention to detail necessary for a successful move. and walk you through the scheduling of your next move. Moving from Attleboro to Somewhere New? You grew up in Attleboro. You remember going to London’s every year to see Santa and the Easter Bunny. Your Saturday isn’t complete unless you’ve had two all the way at Tex Barry’s. But now you’re moving somewhere new, and it’s time to bid farewell. Rainbow Movers is the moving company Attleboro families have depended on for generations. For 100 years, our moving trucks and crews have made moving day worry-free for thousands of moves all over Massachusetts and Rhode Island. We’re licensed for interstate moves, so if you’re moving to Rhode Island or across the country, we can help.  Let’s get started – call Rainbow Movers to schedule your move. Call us at 508-528-4111 or 800-922-1020.